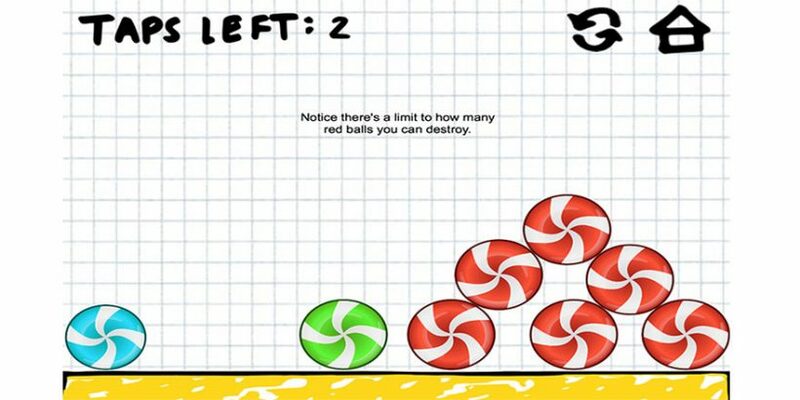 Candy Swirl Ball Adventure is a physics puzzle game complete in doodle style graphic. Your goal is in 32 level to get the blue ball to hit the green ball by destroying red balls. So far so easy – but don’t touch the grey balls! And now get ready for one of the most addicting puzzle games you have ever played! You’ll get 32 challenging levels and the game is easy to learn, but tough to master.